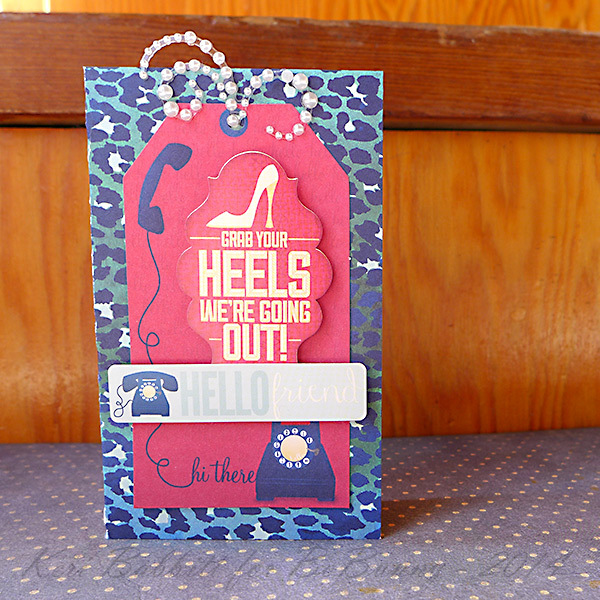 The Modern Miss collection makes perfect cards for all your girls! This was my first time playing with the Modern Miss collection and I had so much fun looking at all the products in this collection. My favorite thing to use for cards is the 6x6 paper pad. It's just the right size and you can still cut so many different shapes out of the pad. 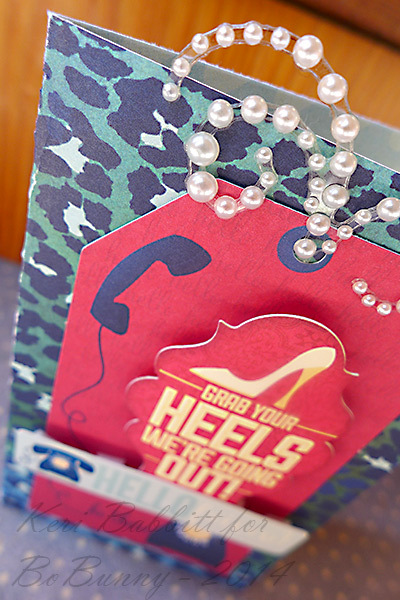 For this card I used the double dot cardstock for the background and then just different pieces from the paper pad. 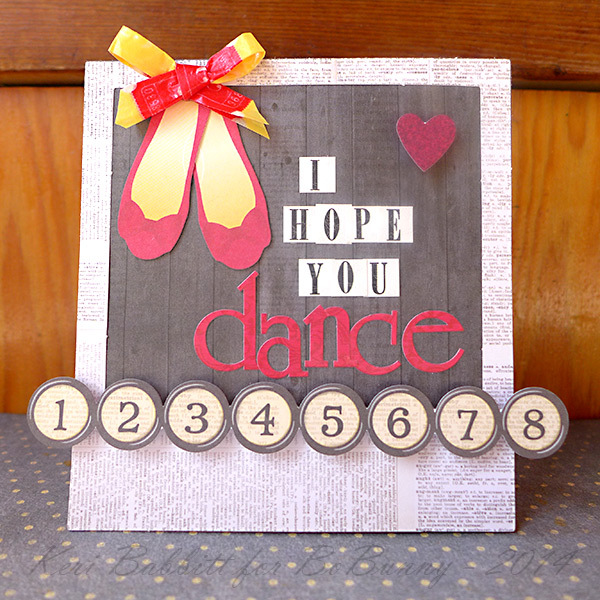 A chipboard piece just finished it off. 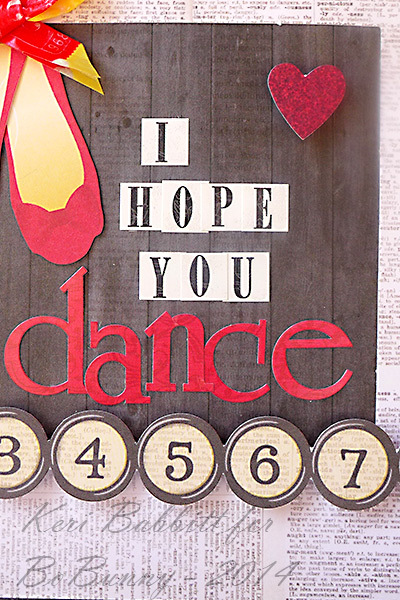 For this card I wanted to make something fun and bright because this is for my Nieces 14th Birthday party. I cut the squares out of the Modern Miss Selfie sheet and tucked them behind some pieces from the noteworthy collection. The most fun was playing with the new washi tape! This has been my very first time to play with the stunning and bright colored Modern Miss collection. If you love bright colors then this is for you! 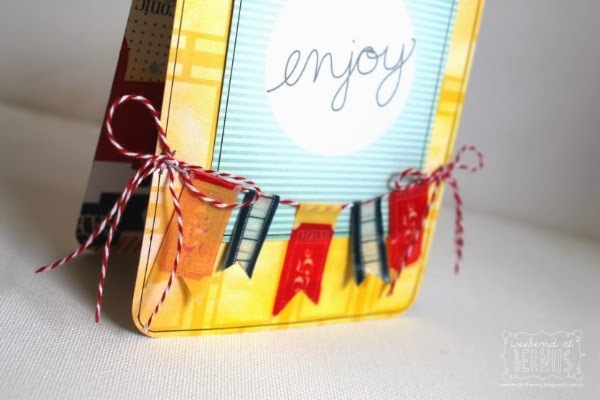 I have been very keen to try and play with the new washi tape that BoBunny now makes, so I decided to create an itty bitty washi tape bunting for the front of my card. It was so easy to do and I love how it turned out. 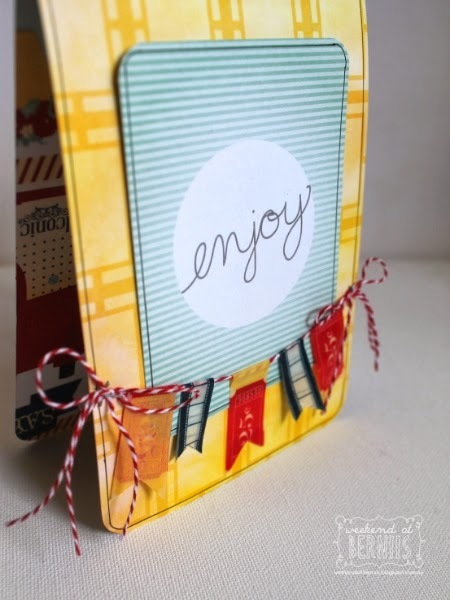 I also used one of the new 3 x 4 Misc Me cards for the front of the card. they really are so versatile. 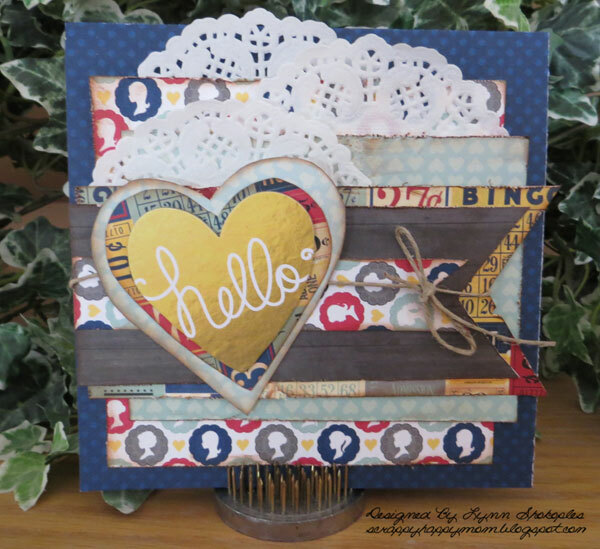 I just had to use the wood grain paper that was in the Modern Miss collection. I love nothing more then teaming it with bright colors for an effective contrast and the colors in this collection is perfect for that . 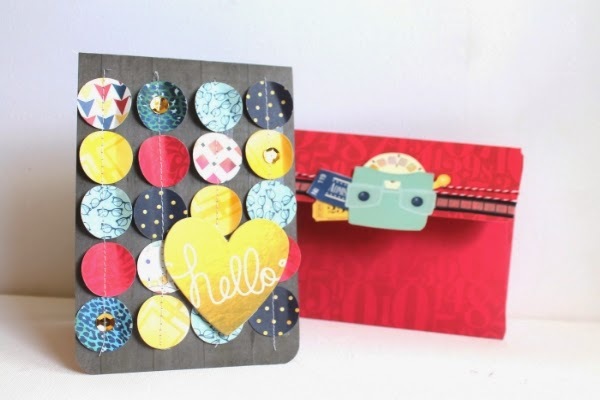 For this card I could not decided on a couple of papers to use so instead I decided to use the 6x6 paper pad and used a variety of the collection. I simply used my circle punch, adhered a very thin strip of adhesive tape, attached the circles and then ran it through my sewing machine. I then simply pinched the circles towards the centre to help create some texture. 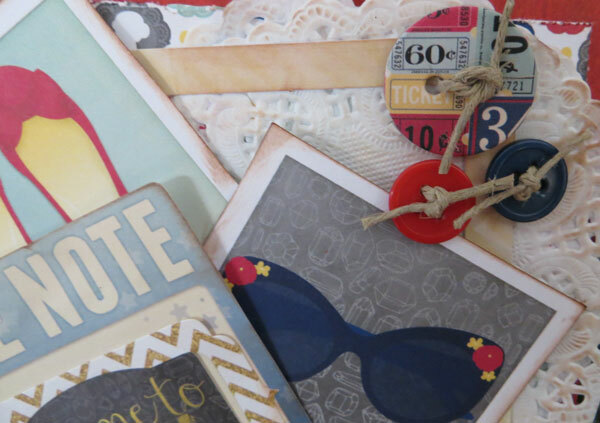 What a wonderful collection Modern Miss is, whether I'm creating a card for my daughters or my BFF's. I love the bold colors & the retro-inspired, chic icons in this collection. The new washi tape is fantastic - here, I've used it to create my own "ribbon bow" by sticking it back onto itself in a six-inch strip. Then I folded it in half lengthwise and tied it in a bow. 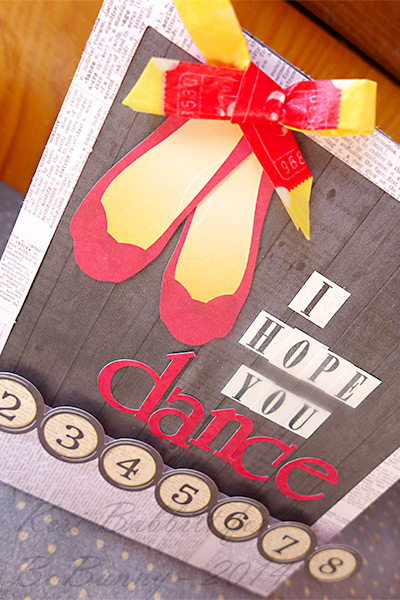 What a fun little way to top off my ballet shoes diecuts. 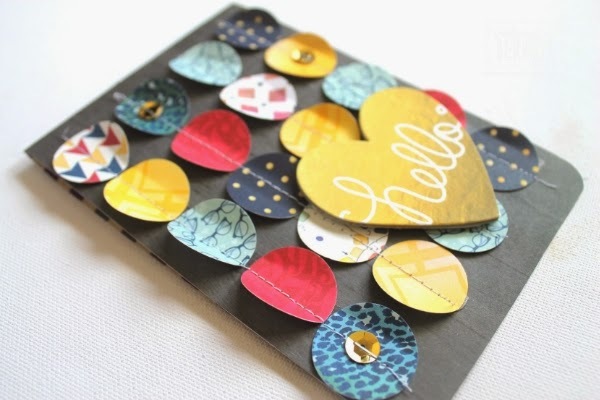 I love the different sizes of alphabets offered by BoBunny, and the Noteworthy diecuts are such an easy way to layer, using foam adhesive to pop them off the card a bit. 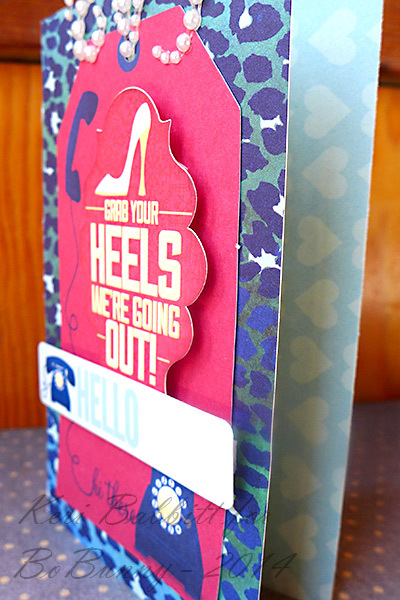 The glam patterns and bold reds in this collection make a great grown-up girly card for friends & parties. I added a touch of sparkle here with a jewel flourish. 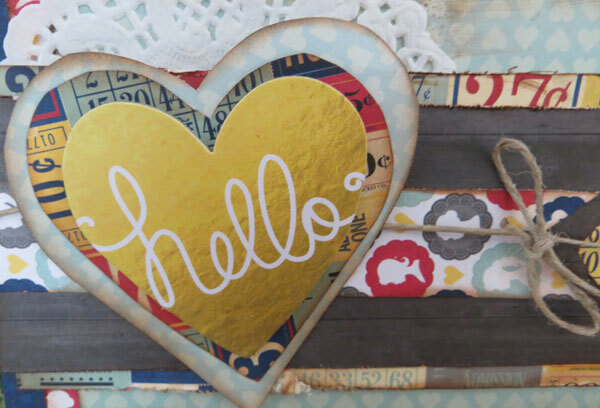 The double-sided paper is so great too - love the sweet coordinating peek of light blue hearts inside the card. 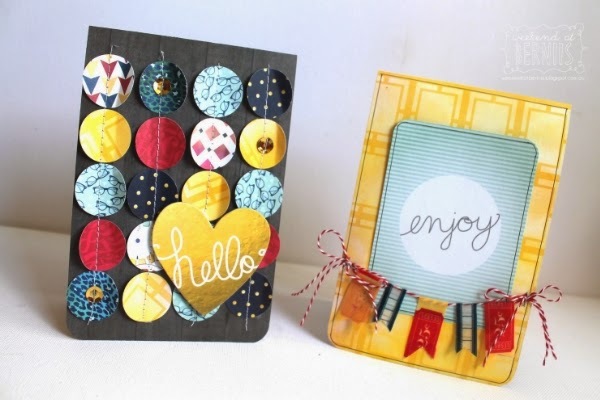 Oh, these cards are all so beautiful and creative! You've done wonderful work with this collection! 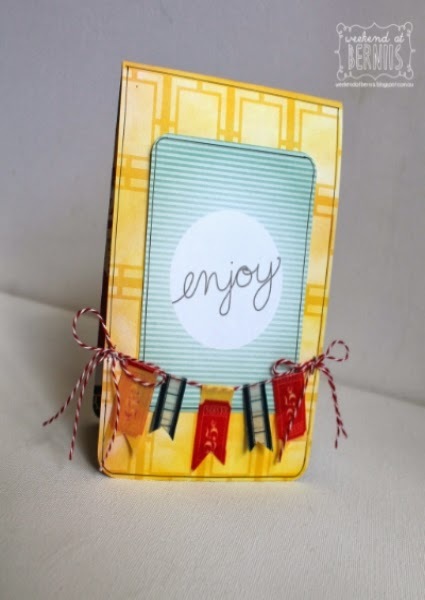 your cards are fabulous ladies and Im loving the washi tape ideas! !